Participants from both the U.S. and Canada will meet in Washington, DC for orientation on June 6, 2019, and they will depart for Greece as a group and accompanied by an ACG staff member on June 7, 2019. Participants bear a 1,000 USD portion of the airfare expense to Greece (the remaining cost is born by NHS), and they are responsible for transportation to and from Washington, DC. Tuition, accommodations, local transportation, meals, and other related costs are borne by the National Hellenic Society. * Greek descent is defined as having one or more parents, grandparents, or great grandparents born in Greece or Cyprus. Please note that siblings or first cousins of past and/or current participants, who meet the program’s eligibility criteria, may participate in Heritage Greece 2019 on the condition that they reimburse NHS for all expenses related to their participation. The Heritage Greece Program is the National Hellenic Society’s and the Hellenic Heritage Foundation’s contribution to keeping Greek heritage and identity vibrant and relevant in North America. Apply now for this unforgettable experience! This new initiative offers Heritage Greece Participants an opportunity to immerse themselves in the profession environment of Greece. Selected interns will remain in Greece for up-to an additional two weeks to participate in an internship in a Greek company along with a selected ACG Peer. These participants receive a full scholarship for their accommodation for the duration of their internship in Greece. 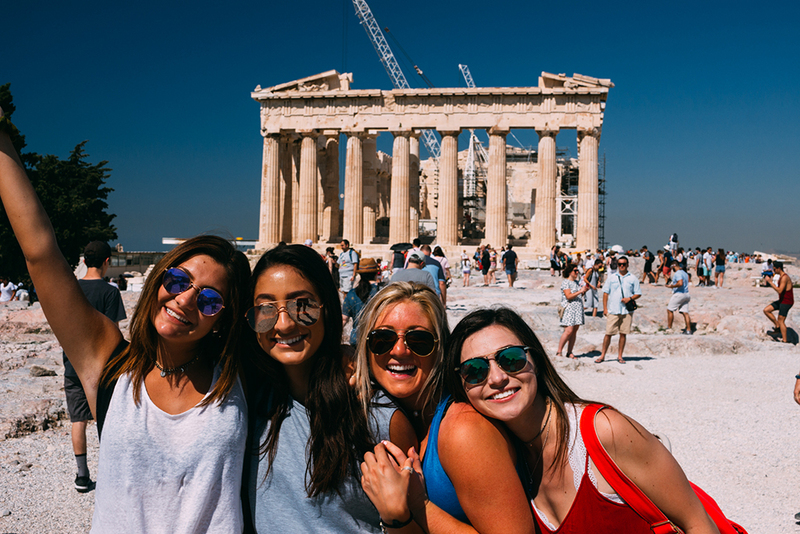 Upon successful completion of the program, ACG awards all Heritage Greece participants a generous scholarship to study abroad at ACG for a semester or summer term/session, provided they meet the criteria for studying abroad.